The iPhone 5 has finally arrived and many tech geeks would have been forgiven in feeling as if such a time would never come. The only thing left to do now then is to judge this new piece of technology and discern whether it is worth all the hype in the first place. Such an analysis will be done precisely here. The first thing that struck many technology fiends was the absence of something quite special. Near Field Communication (NFC) technology was heralded as the next big thing regarding data transference and expected to be a prominent feature of the iPhone 5. However, it hasn’t turned up on the phone and no doubt; many will subsequently be left bitterly disappointed. NFC technology would have allowed contactless payments and wireless communication through touch, and is even present on the Samsung Galaxy SIII which has been around for quite some time now. However, despite the absence of NFC technology, iPhone 5 owners may just be better off than those with a Galaxy SIII when it comes to contactless payments anyway. This is due to Apple’s Passbook application, which is set to be introduced when iOS 6 hits on September 19th. Passbook will allow individual store payments and also store movie tickets, retail coupons, boarding passes and loyalty cards. Potential iPhone 5 owners therefore need not despair! Ok, we all kind of expected Apple’s latest machine to feature a faster A6 processor, but that doesn’t make it any less brilliant that our expectations have been fulfilled. 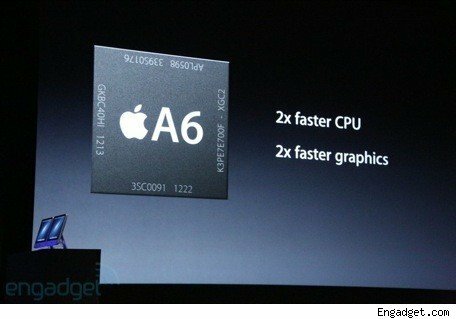 This is especially so, considering that the new A6 processor doubles all round CPU and graphics capabilities. In other words, almost everything will practically be twice as fast as before. There is a general rule to never change a winning formula and Apple have most certainly adhered to this in regards to the design of the iPhone 5, and generally all of the models that went before it. However, consumers are a picky bunch, and there is the sense that we’ve become just a tiny bit bored with the continuous Apple iPhone design. Those craving radical changes to the appearance of the iPhone will be left disappointed. One good thing about the iPhone 5 is that the battery life is an improvement on its predecessor. However, this is only a fraction better than that of the iPhone 4S and so cannot be seen as too much of a perk. Many of us were hoping the iPhone 5 to have a considerably greater battery life to other smartphones on the market, as a real statement of intent. Sadly, this hasn’t materialised. In terms of video shooting, the iPhone 5 can take 720p HD videos. However this isn’t the best camera shooting quality available on the market, with the Sony Erikson Xperia S shooting 1080p videos. Therefore, there isn’t too much to be excited about on this front. Furthermore, the iSight camera stays in at 8-megapixel. However, there is a built-in panorama mode that enables the shooting of one large 28-megapixel photo. You can also take photos while you’re shooting a video, which is quite a good little touch for tech geeks, and face detection is now available in clips for up to 10 people. The pixel count stands at 1136 x 640 which isn’t as great as the Galaxy SIII’s 1280 x 720. The iPhone 5 won’t exactly be the cheapest mobile phone available on the market and we were therefore expecting a plethora of different amazing new features that would make it worth the large cost in money. All in all however, there’s something very dull and uninspiring about the iPhone 5. Many of us were expecting a radical change to the previous iPhones and a real statement of intent that Apple were still kingpins of the mobile market. Instead, we’ve been given a phone that doesn’t even quite match up to the Galaxy SIII. 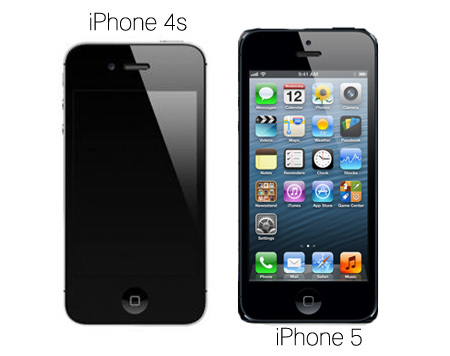 What’s your take on the new iPhone 5 ? Love it ? Hate it ? Let us know in the comments below ! U missed out the panorama (lomography) feature for the iPhone 5 camera. This iPhone is slightly better than iPhone 4S. The only main difference for me is LTE module which wil surely make iPhone more popular with other mobile carriers.